I don’t know why I don’t use beets more often, especially in the fall when they’re at their peak. Roasted Beets are so easy to make. Once they’re roasted, my favorite way to use them is to add them to a salad. However, they could also be heated with a bit of butter and served warm as a side dish. When we went to Carpinito Brothers’ Pumpkin Patch in Kent to get some pumpkins, I also bought some fresh beets which were grown on their farm. I chose the beets with the greens still attached so I could use them, too. 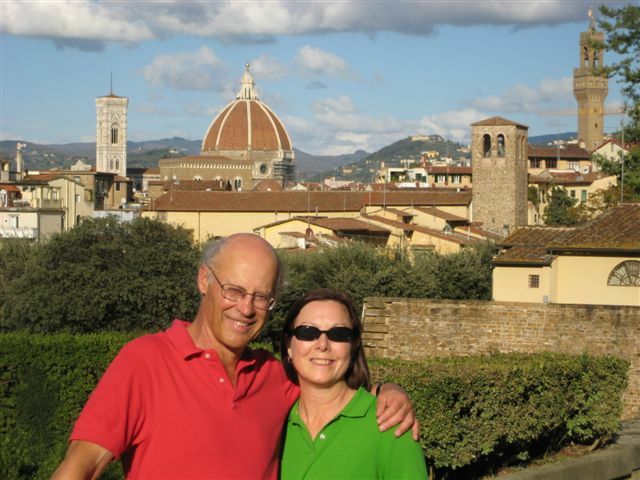 We had the greens with our dinner that night, and I refrigerated the beets to use later. A few days later I made Roasted Beets. They are incredibly easy to make. 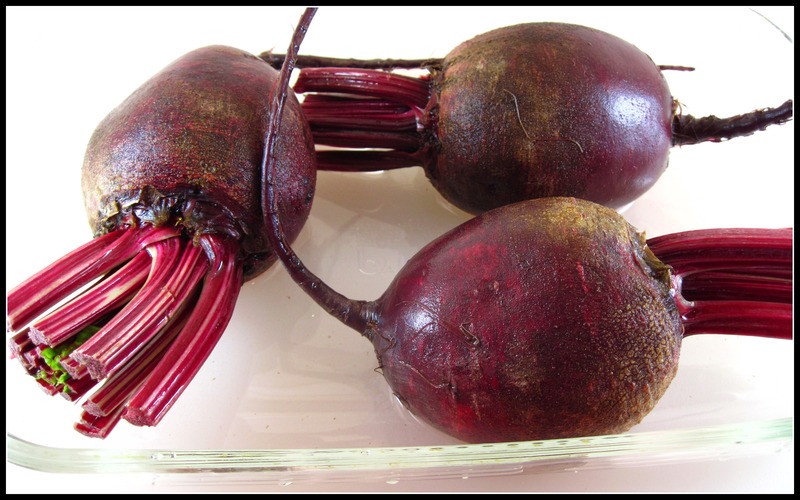 These three beets weighed ½ pound each, so we had enough to serve with our salad for three nights. Delicious! Keep in mind that red beets will stain. I used an acrylic board (instead of my wooden one) when cutting them and wore gloves to avoid beet stains on my hands. I have used this same method with yellow beets. They do not stain, so you don’t have to wear gloves with them. 2. Scrub the beets well and put them in a baking pan. 3. Add water so it’s about ¼ inch deep. 4. Cover the pan with foil, sealing it around the edges. 5. Roast the beets for 45 minutes to 1 hour. (Timing depends on the size of the beets. My ½-pound beets took a full hour.) The beets are done when you can easily slip a sharp knife into the center. 7. 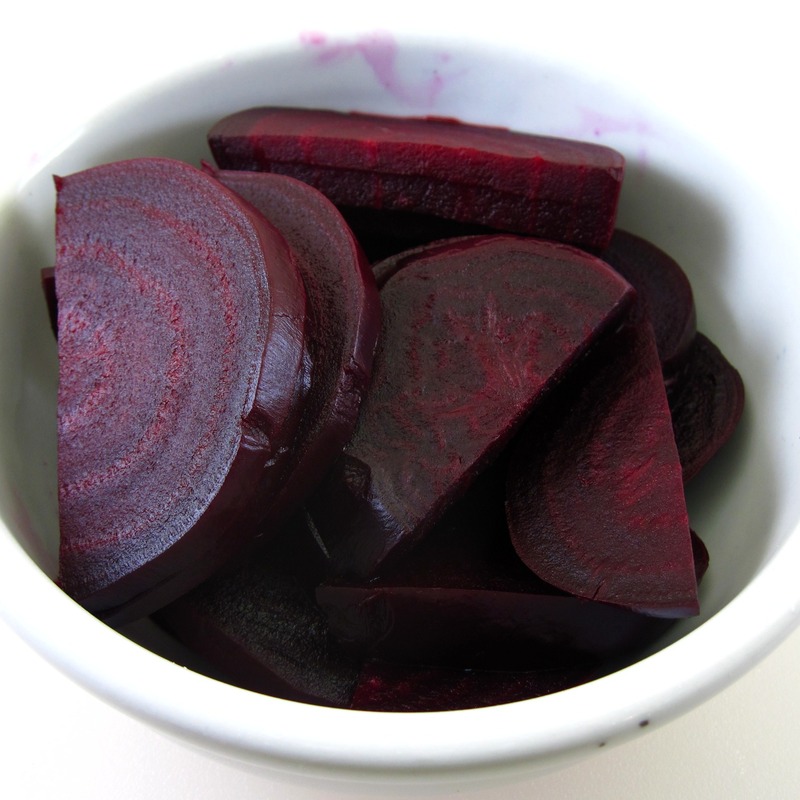 Use the beets right away, or refrigerate them to use later. Cut the greens off, leaving an inch or two still attached to the beet root. To cook the greens, cut any tough stems from the leaves. Wash the leaves and stems well, and slice the leaves into smaller pieces. Heat a bit of oil or butter in a large skillet. Add the stems and a bit of water or broth and cook them for a few minutes. Add the greens and cook, stirring, for a couple of more minutes. Beet greens cook much more quickly than some other types of greens. Season to taste with salt and pepper and serve. I’ve always wanted to roast beets. Probably next week. I’ll let you know how it goes! Thank you for the inspiration! Hi Jena! Try it, you’ll like it! 😉 Love hearing from you; thanks for your comment! I have always avoided beets, but I really want my daughter to try them. (She said she will if I eat them with her…stinker!) 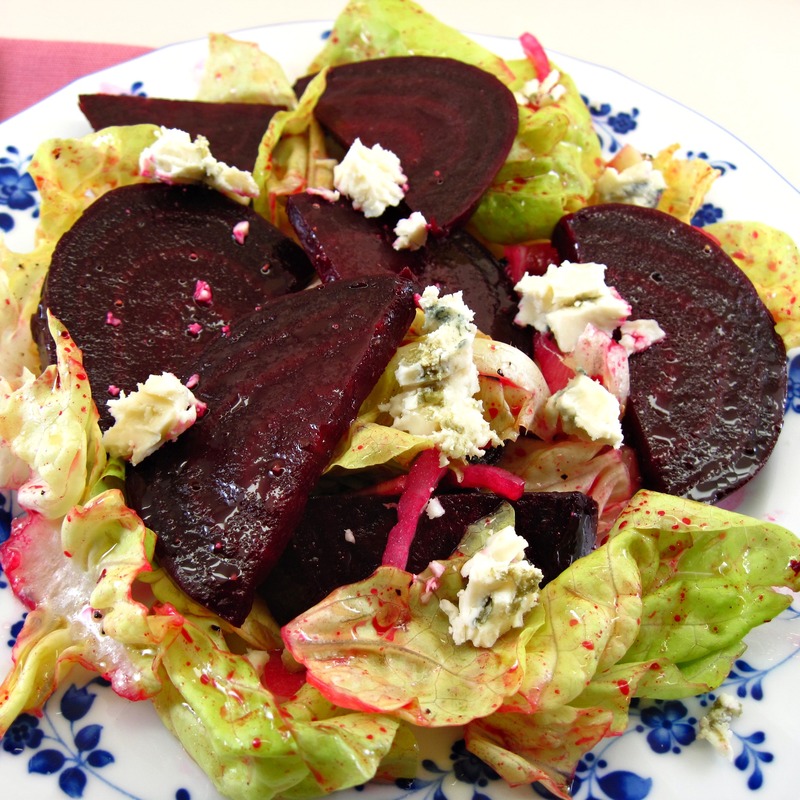 I have a feeling the beets and the blue cheese make an excellent pair! Ok…[sigh]…I’ll try it next week. If anyone can make these look good it would be you, my friend. Thanks for this inspiration! Fresh roasted beets are so much better than canned. Paired with blue cheese, I think you just might like them, Dionne. Goat cheese is also excellent with beets. What a great mom to introduce Taylor to new veggies! I love this idea of roasted beets, I’ve never even thought of roasting them. Cool, I like beets. Thanks for stopping by, lead me to your site. Going to browse around. Have a great day! Growing up, we only ate pickled beets. A couple of years ago, I had a salad at a cafe in Taos that was similar to yours except it had goat cheese in it. I was hooked on roasted beets after that! Goat cheese is also excellent with a beet salad. Homemade pickled beets might be something to try!